I received two (free) cigars from Ventura Cigar Company a couple weeks back - I just happened to spot a promotion they were having in the August issue of Cigar Aficionado magazine (page 60-61). Sweet deal too, didn't even have to pay for shipping! I liked them both a lot, but the Estilo Cubano was more my style - more flavorful, fuller-bodied, and in my opinion, better taste! 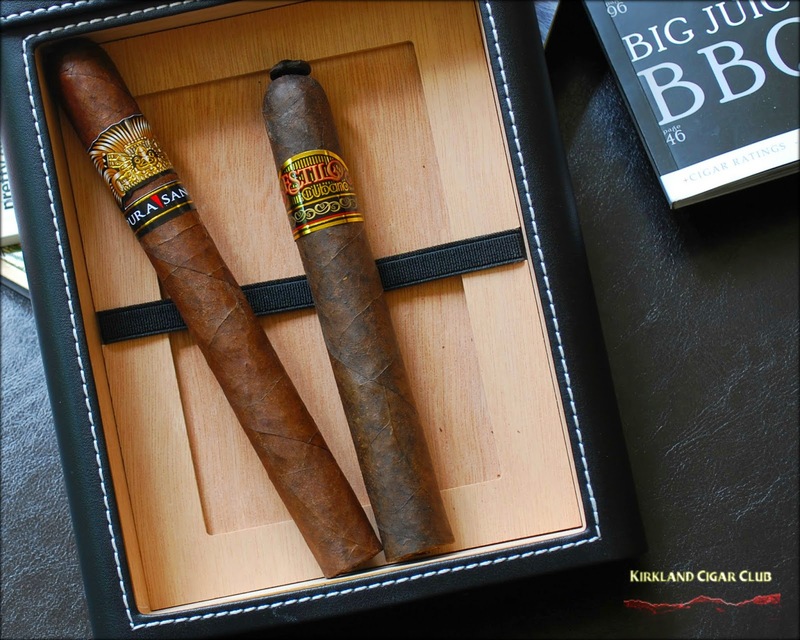 Now that being said, if I were in a cigar store and I came across both of these side-by-side, without a doubt I would pick the Pura Sangre. Why? Prettier, of course. Beautiful dark chocolate wrapper, eye catching label, great size and shape, to me it looked far superior than the Estilo. You know what they say: "Never judge a book by its cover." Well, these were free, but I plan on buying the Estilo Cubano very soon! Delicious smoke! You know, I applaud Ventura Cigars for having this little, well, not so little, promotion. I'm sure it cost them a small fortune, but after trying their product, I'm sure they'll easily get a return on their investment. Honestly I doubt I would have ever tried these cigars had they not been dropped in my lap, especially the Estilo, which is kind of an ugly duckling, but boy it delivers in the taste department - fantastico! Nice job Ventura - You've got a new customer! 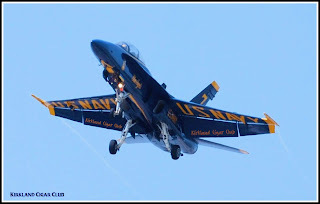 Seafair this week - saw one of the Blue Angels buzz around Boeing Field today. Very impressive! TAKE ACTION: Help Exempt Premium Cigars From FDA Regulation! Did you know that on April 26, 2010, December 20, 2010, and July 7, 2011 the U.S. Food & Drug Administration publicly posted their intent to regulate cigars in the Federal Register? Ban on marketing cigar merchandise. We urge you to easily take action now by clicking the button below! Anyway, I lit-up my cigar and spotted an empty seat that had luckily just opened up next to the chair of one of the top dogs from My Father Cigars - Jose Ortega, Vice-President of Sales. He was here for the event with Don Hanes, the regional sales representative. They'd been making the rounds together in Western Washington and tonight was their last stop. You know I've told other people in the cigar industry this before - you're not selling a product, you're selling yourself. If the customer believes in you, they'll buy your product. Simple as that sometimes. Jose is truly the perfect person for this cigar brand! Yes, I was pleasantly surprised at how well the evening turned out, even with the occasional drop of rain, it still was a great time! Many thanks to Jose, Don and of course the Tobacco Patch for really going above and beyond organizing this event for us! Nice job guys! Looks like My Father Cigars will have an Event this coming Friday (July 20th) from 6pm to 9pm. I'll let you know what the deals are as soon as I find out. Wonder why I never get an advance mailing on this stuff? Speaking of events - we went to the Diamond Crown event last Friday down at the Patch. We got there too late to meet the cigar rep, but we did buy a few cigars - some good deals too! Anyway, great turnout - had to have been 20-30 guys out front smoking cigars. It was fun! Anyhow, when we were at the event last Friday night, my lovely wife filled out one of the raffle tickets that you get when you buy something. 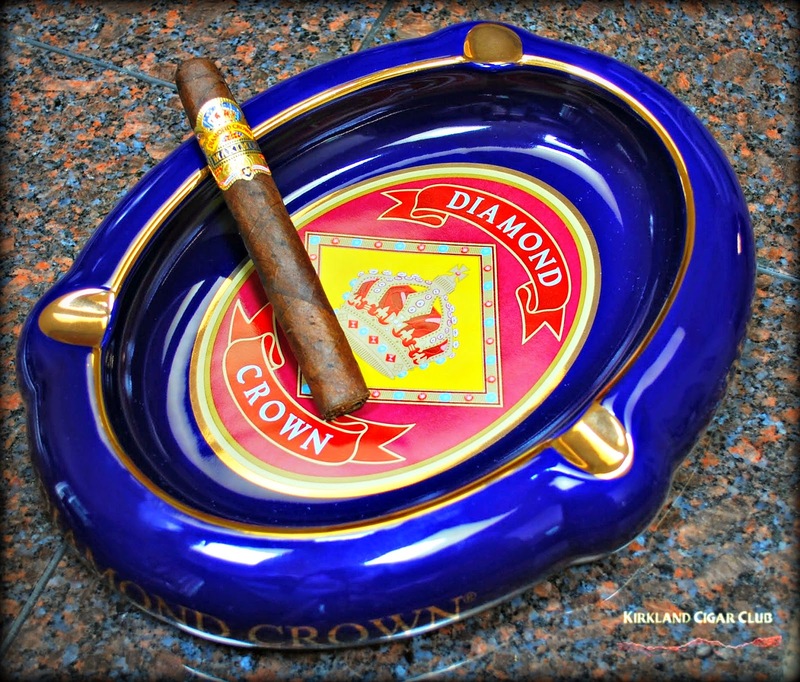 You'll never guess who won this lovely ashtray? Hard to believe, but true! Thanks Tobacco Patch! 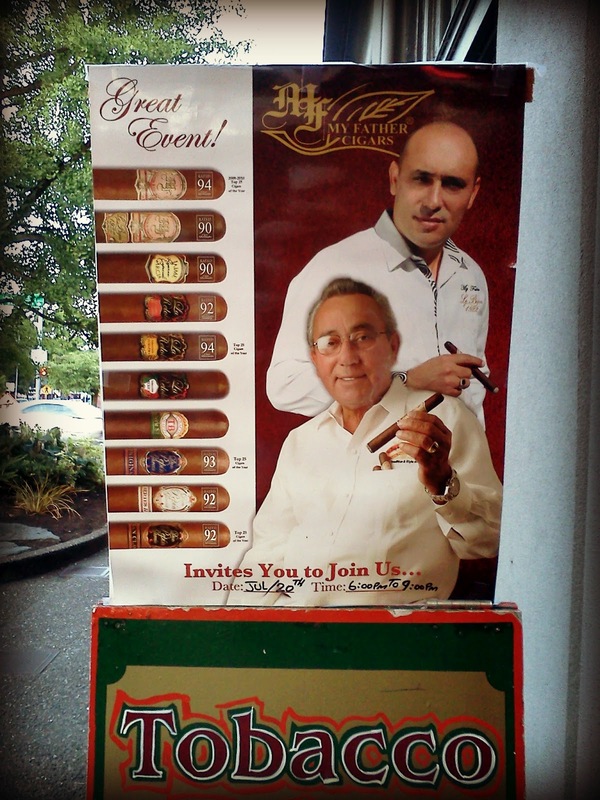 Join us this Wednesday, July 18th in Lit from 6-9pm as we're joined by Jose Ortega of My Father Cigars. 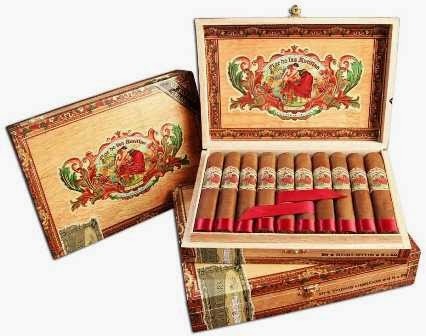 He's touring the country to show off the latest release from the Garcia family, Flor de Las Antillas. 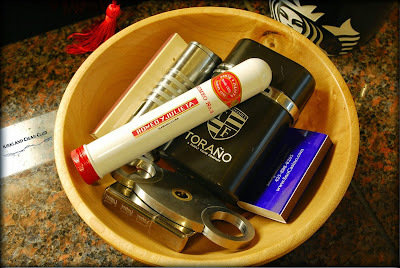 Here's a detailed review of the new cigar, if you want to do some homework! We'll have some great giveaways with purchase including a special My Father blend only available at events. 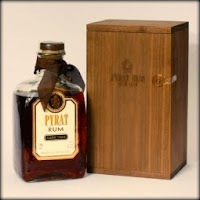 We'll also have prizes and drink specials on Pampero Aniversario rum. See you Wednesday! For those of you in the know, we're holding a special presale of tickets to our October 13 Washington Cigar & Spirits Festival all week long. Until the close of business on Friday, July 21, you can get tickets for the event at a discounted price of $65, only at the casino box office. Beginning Saturday, tickets will be available via Ticketmaster and the price will go to $75. For more information on this event, click here to view the flyer with all of our vendors and details. A few pictures that I took at the event on Saturday up at the Snoqualmie Casino. Great time! Nice job Josh! Side note: Sir Godfather - always a pleasure seeing you my friend. Next cigar will be at my place, OK? On hand for this event will be Drew Estate representatives Alex Casa and Fabien Ziegler to talk all about Drew Estate cigars! This will be a "BUY 3 CIGARS, GET SOME FREE STUFF EVENT"
Drew Estate is well known for their generosity with free cigars and swag, so we're not sure what you're going to get but it'll be good! Full or any mixed box of 20 or more Drew Estate brand cigars! 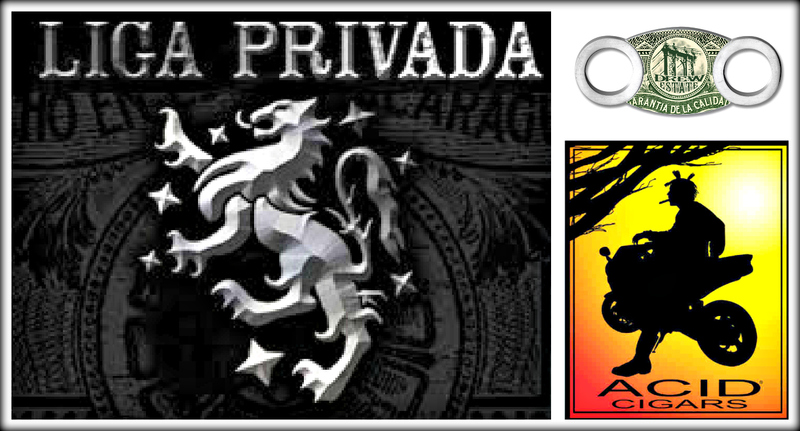 Due to product scarcity, there will be no box sales of Liga Privada and some limits will be in effect. 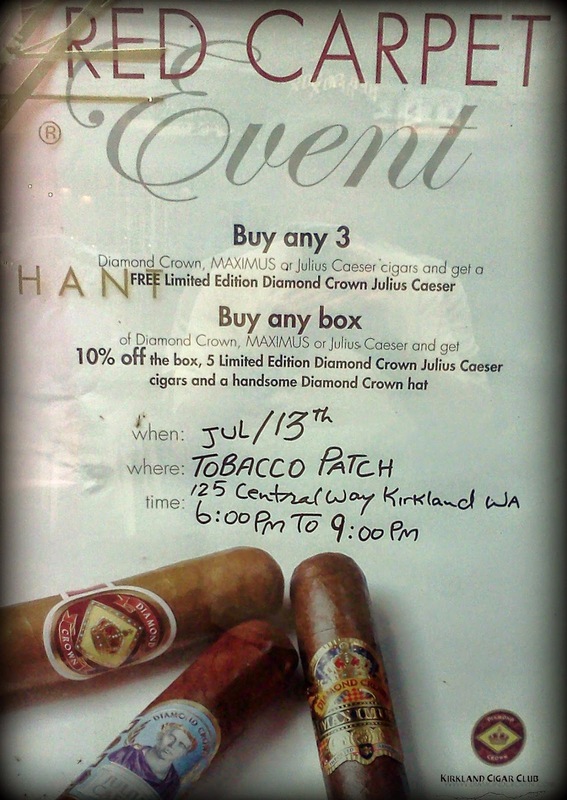 We hope that you and your friends will join us for this event at Rain City Cigar. 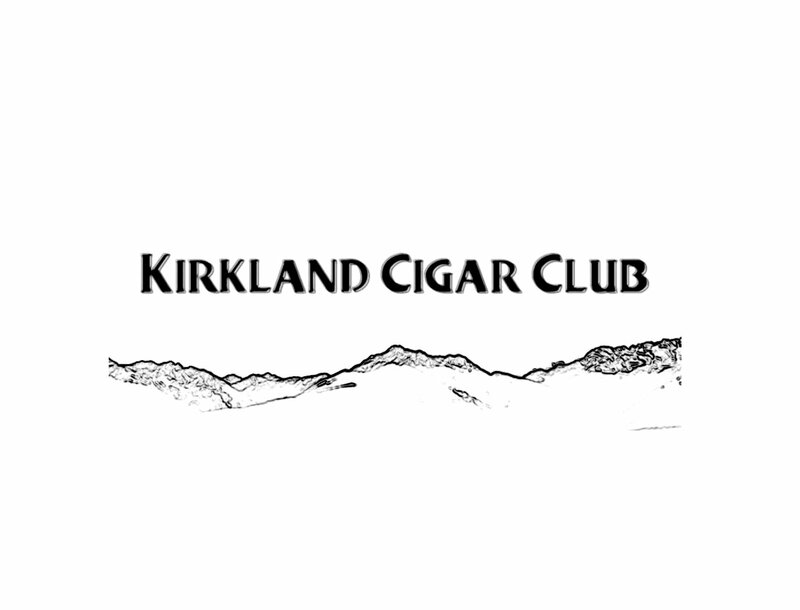 In the event of inflement weather or excessive sun, the Rain City Cigar "25 Foot Cigar Lounge" will be open so that you can enjoy your cigars in comfort. Can't make it Friday? No worries mate, we'll continue to run the specials on Saturday! I noticed this poster in the window down at the Tobacco Patch last night. Looks like they're having an event this coming Friday. Sheesh, no one tells me anything! 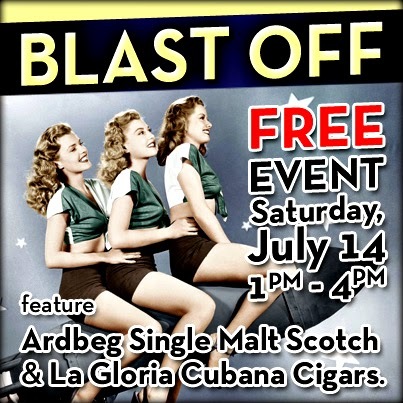 Join us outside in the Mountain View plaza this Saturday, July 14th in Lit from 1-4pm for our Blast Off event featuring Ardbeg single malt scotch and La Gloria Cubana cigars. Ardbeg is celebrating the honor of being the first whisky ever taken to space by touring the country with a life size rocket, which will be on display during the event. We'll have specials on Ardbeg and La Gloria as well as prizes and hopefully some great weather! On Wednesday, July 18 from 6-9pm in Lit, we'll be joined by My Father's Jose Ortega as we feature their latest cigar, La Flor de Las Antillas along with Venezuela's Pampero Aniversario rum. We'll have drink specials, cigar specials and plenty of prizes to give away. See you there! Periodically, we put together special tastings that are only advertised through this newsletter to thank you for being loyal readers. We'll be doing another one of these on Wednesday, August 8th, from 6-8pm in Lit. We'll be pairing a Cohiba Capa Reserva 1980 Lonsdale Grande, featuring a 32 year old Cameroon wrapper along with a Pyrat Cask 1623 rum, aged for up to 40 years in oak. The cost for this pairing is only $35, a fraction of the regular retail price for these super premium products.. If you'd like to join us for this tasting, please reply to this email with your info to RSVP. There are only 25 spaces available, so act quickly as we've done about 6 of these special events over the years and they've all sold out in advance. Excellent weather over the weekend - temps in the low 80's, light breeze, beautiful blue sky, ideal conditions for a fine cigar outdoors! Anyway, I was in downtown Kirkland at the VIP seating area by Starbucks on Friday night and a friend of mine asked me if I'd like to try a Romeo y Julieta No.3 (Cuban) cigar? Of course I said "no". Overall I liked it - relatively smooth medium bodied cigar with a little oomph. Draw, burn and smoke output were just fine. Interestingly enough, my lovely wife was smoking an Oliva Serie G Churchill right next to me and her cigar required a re-light, so she asked if I'd light it for her? So here's the bad part about smoking a Cuban cigar - sometimes that inexpensive Nicaraguan cigar will taste far superior to the obsessively expensive Cuban. (did I say that out-loud?) I was perfectly happy with the R y J until I took a puff of the Oliva, that's when my disappointment set in. Yes, unfortunately the Oliva was a much better smoke. 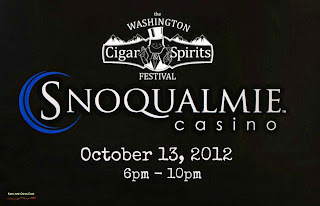 Just a reminder that there's a free outdoor cigar event up at the Snoqualmie Casino this Saturday from 1pm to 4pm. 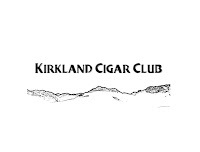 You might also want to buy your tickets to the Washington Cigar & Spirits Festival while you're up there - discount tickets are available the 14th through the 20th at the casino box office. After the 20th the price goes up to the regular price. Lit Newsletter 7/2/12 Our First Outdoor Event! 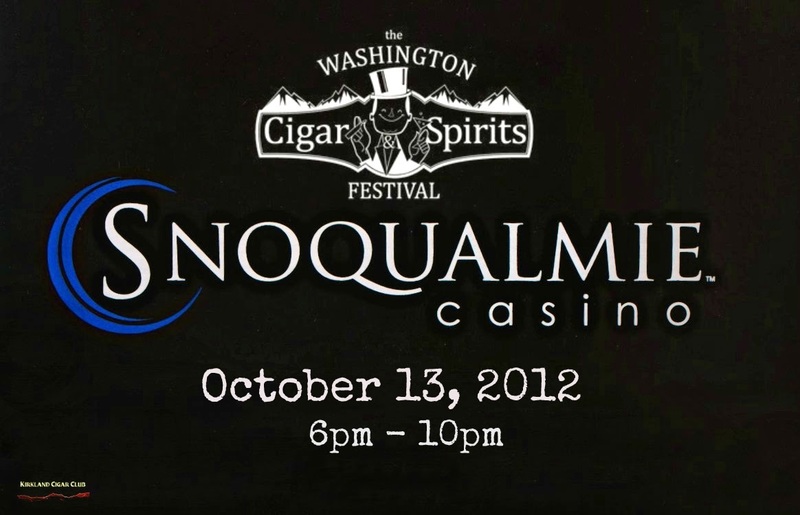 We're excited to announce our first ever outdoor cigar event at the Snoqualmie Casino. 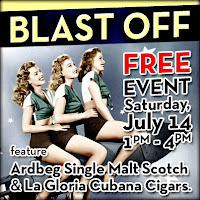 On Saturday, July 14 from 1-4pm,we'll be hosting the Ardbeg Rocket Tour in the Mountain View Plaza. 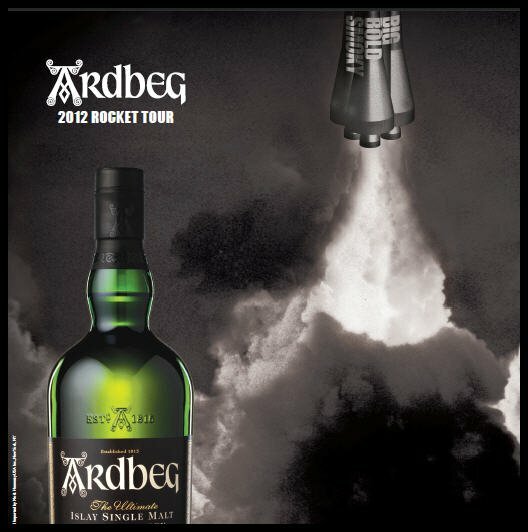 Ardbeg is celebrating being the first whiskey ever taken to space by touring the nation with a life size rocket! We'll have drinks specials and giveaways from Ardbeg all afternoon. Also, our good friend Patrick Dewitt will be on hand as well as we feature La Gloria Cubana cigars. We'll have some great deals on the whole range of La Gloria cigars, including Serie R, Serie N, and Retro Especiale. We hope that a big turnout for this event will pave the way for more outdoor cigar events in the future, so please mark your calendar and tell a friend. On Wednesday, July 18 from 6-9pm in Lit, we'll be joined by My Father Cigars national sales manager Jose Ortega as he visits the Northwest promoting their newest cigar, La Flor de Los Antilles. It's a tasty blend, with a sun grown wrapper and a soft box pressed shape. Lit has been a great supporter of the Don Pepin and My Father cigars, and this blend should be just as successful as the previous ones. We'll have some great deals on all of the Don Pepin and My Father lines. We'll be doing a special pre-sale for Lit customers and those of you on the mailing list, beginning on July 14th and ending on July 20. 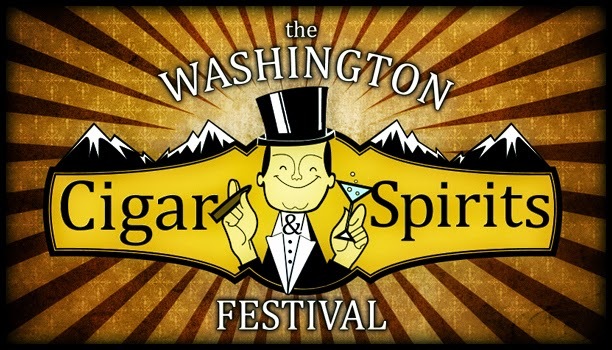 You'll have one week to get your tickets for the October 13 Washington Cigar & Spirits Festival at a pre-sale price of $65, before the price goes to $75. Pre-sale tickets are only available at the Snoqualmie Casino Box Office. Tickets include (3) cigars, (6) 1/2 oz. spirits samples, (2) 4 oz. beer samples, along with appetizers, prize giveaways and much more. For those of you who attended last year's event, we've added some great new twists. We'll be joined by La Gloria Cubana's Michael Giannini and master roller Leo Peraza, who will be showing you how to roll cigars. 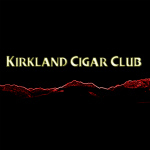 We'll also have the President of Xikar Kurt Van Keppel, the creator of the famous Xikar Xi cutter at the event. 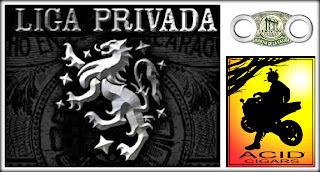 We'll also be joined by Cesar Gadea of Padron cigars, who are participating for the first time. Please spread the word about this great event, we'd love to sell out for the second consecutive year. We've just received the heavily anticipated Little Monsters sampler, which consists of 10 cigars, 2 each of 5 miniature versions of Tatuaje's sought after annual Monster Series halloween cigar releases. For the kid in you, some boxes contain special trading cards as well! The good folks at Toasted Foot did a review of each cigar. Check them out here to whet your appetite. The samplers will be $85 and when they're gone, they're gone! One of the best cigar events! So what did I think? Clearly one of the best cigar events that my wife and I have been to! We really were blown away at how perfect everything was! Jennifer, Daniel, Narong, and the rest of the crew did an outstanding job putting this together and making sure everyone felt right at home. Plus, you won't find a pretty place on Lake Union to enjoy a fine cigar! What a great time! BTW, when's the next event?